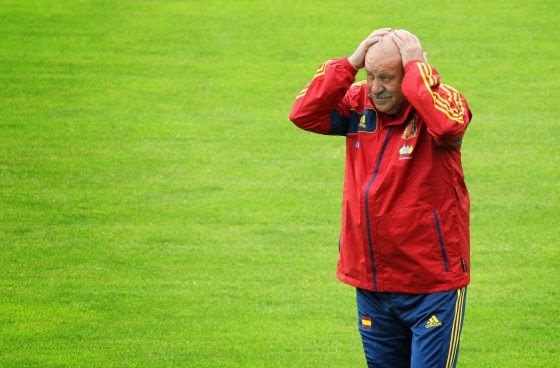 La Furia Roja, Spain's senior male football team is going through a period of transition. They have dominated world football for the past six years and the law of diminishing returns has set in and they have to build afresh. The bright side is that there are still enough players (established and upcoming) to continue staying at the top of world football. The flip side is that there are too many quality players that can walk into any top team in the world today‎. 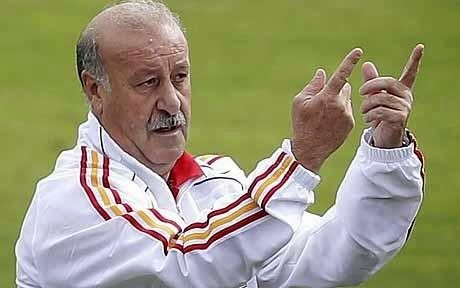 This is why coach Vincent Del Bosque has a headache in finding his first eleven and blending them together as a team. Spain has so many top quality players in different positions on the pitch and all are playing at the highest level at different clubs all over Europe. Besides Germany, there's hardly any team in world football who boasts such depth in all positions. In the goalkeeping ‎position they have ; Reina ( Bayern Munich), Casillas (Real Madrid), De Gea (Man U). In Left-Back they have; Jordi Alba ( Barçelona), Azpilicueta (Chelsea),Moreno(Liverpool),Monreal(Arsenal). In RB they have; Junafran(Athletico Madrid), Carvajal(Real Madrid), Arbeloa( Real Madrid). In CB they have; Ramos(Real Madrid), Pique(Barca), Bartra(Barca),Albiol( Napoli). In midfield is where they have the biggest headache; Koke, Garcia (Athletico Madrid); Iniesta, Busquet (Barcelona), Carzola (Arsenal), Silva(City), Mata(Man U),Isco (Real Madrid); Thiago, Martinez(Bayern Munich) etc. In attack they have Pedro(Barça), Costa (Chelsea), Liorente, Morata (Juventus), Nolito (Celta Vigo). These are most, but not all, of the players that are in contention for positions in the new La Furia Roja team after the retirement of Xavi, Puyol, Villa, Alonso to pave way for younger players. It is almost certain Spain will qualify for EURO 2016 to defend their title due to their relatively easy group. However, Del Bosque will have to forge a team strong enough to compete at the competition and defend their title to avoid a repeat of Brazil 2014 fiasco.